Traditionally, a lot of professional attention has gone into diagnosis and recovery from the psychological damage associated with traumatic experiences. Specialist therapies with a primary focus on past events are the norm and Post-Traumatic Stress Disorder is increasingly seen as an almost inevitable consequence of experiencing trauma. However trauma work can be approached from a different angle. Several studies show that traumatic experiences need not be this debilitating and that most people can and will progress to a new stable pattern of healthy functioning and positive emotions with the help of appropriate future focused interventions. This does not mean ignoring the reality of pain and trauma but rather utilising a therapeutic approach that builds on and values, hope, possibility and strength. From a Solution-Focused perspective, the focus in treatment shifts from post-traumatic stress to post-traumatic success. This practical and experiential 2 day workshop focuses on working with adolescents and adults who have experienced traumatic events such as sexual abuse, violence, natural disasters, and significant loss, who present with difficulties of guilt, depression, grief, self esteem, relationship problems, etc. It offers a practical framework for intervention derived from Solution-Focused Brief Therapy and positive psychology, providing attendees with direction and skills for assisting people struggling to recover. It includes exercises that can be used with individuals or groups that aim to identify, strengthen and harness personal strengths and resources in the wake of traumatic experiences. How to shift the focus of treating trauma from reducing distress and surviving, to positively thriving. When and how to balance the need for clients to look forward as a more useful focus, whilst allowing space for looking back in creative, helpful ways. How to explore client's contrasting notions of ongoing damage with the idea that people who have suffered abuse and trauma can build new views of self, and possibilities for a successful future. Why the solution focused assertion that the problem and the solution are not necessarily connected, challenges many common beliefs of trauma, loss and grief. How transforming belief to encompass the possibility of change, draws attention away from feelings of blame and disempowerment. Michael Durrant is a Psychologist and Australasia's leading international trainer of Solution Focused Brief Therapy. 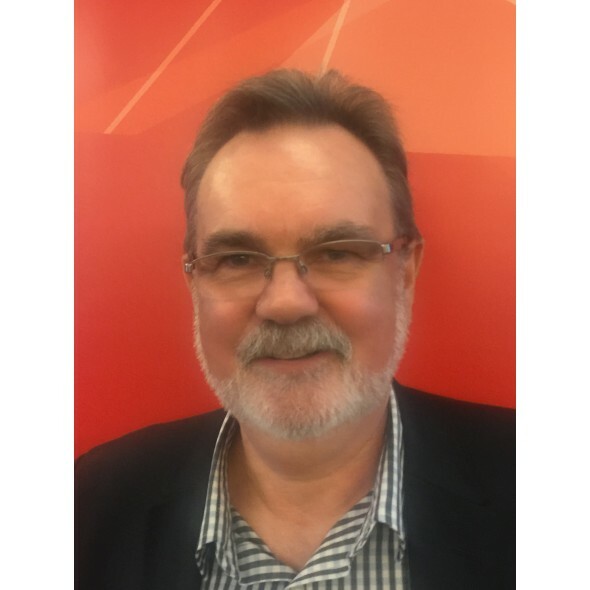 He is director of the Brief Therapy Institute of Sydney, past-President of the Australasian Association for Solution-Focused Brief Therapy, and previously a faculty member in Education and Social Work at the University of Sydney. Michael has extensive experience applying SFBT to the consequences of various kinds of trauma. He has consulted and trained across a wide range of specialist organisations for sexual assault, torture and trauma survivors, police and emergency services, and post–disaster response counselling services for natural disasters. Few tasks are more important―and daunting―than to help someone who is suicidal to go beyond the dark..
"Michael Durrant is an engaging speaker who models the processes he advocates"
"The seminar was excellent and of huge value to me and my desire to be an 'effective' supervisor. The strategies, processes and ideas learnt will be valuable and beneficial in my work with clients, their families, and in working alongside colleagues". "I thought this seminar was the best seminar I have ever been to! I am planning to apply what I have learnt in both my professional and private life"
"Well run informative and comprehensive. A great combination of information and practical strategising. Good opportunities to practice skills on different participants and receive feedback. Michael is a very skilled presenter. His delivery is excellent as is his material".